Medical Malpractice Help » Medical Malpractice Causes » Legal Information » How Can I Determine If a Doctor, Hospital, or Other Health Care Provider Has Committed Medical Malpractice? How Can I Determine If a Doctor, Hospital, or Other Health Care Provider Has Committed Medical Malpractice? You must follow several steps to determine if your doctor or care provider committed medical malpractice. Before filing a lawsuit or claim, you must determine if a doctor, hospital, or other health care provider has committed medical malpractice. An attorney can help with this process. The patient’s injury caused physical, emotional, or financial damages. 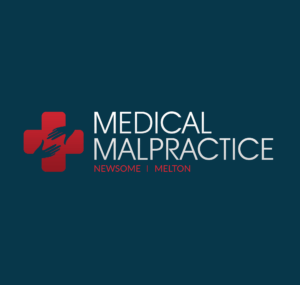 If you feel you might have been a victim of medical malpractice and you suffered damages as a result, the legal team at Newsome Melton can review your case. Our attorneys focus on medical malpractice law and can advise you on your options. We offer free consultations and case reviews, and we work on a no-win, no-fee basis. That means you do not pay us for our time, but for results only. To schedule a free consultation, call our office today at 1-855-MED-ASKS. What Are the Components of a Successful Medical Malpractice Case? A successful medical malpractice case must meet four conditions. The Doctor or Provider Had a Duty of Care. Generally, a doctor-patient relationship establishes the duty of care. If the doctor or provider agreed to perform medical services for you, a doctor-patient relationship exists, and so does a duty of care. We can show evidence of this relationship in several ways, including bills for services and paperwork filed with the insurance company. The Provider Breached Their Duty of Care. Your case likely hinges on this condition. A doctor might have failed to diagnose you, diagnosed you with the wrong thing, or you might have gotten sick or injured following a surgery or medical procedure. However, none of these situations automatically mean the doctor breached their duty of care. Some medical conditions, for instance, do not lend themselves to easy diagnosis, even by a highly skilled and diligent doctor. Surgeries and medical procedures carry inherent risks, and things sometimes go wrong despite flawless care from the physician. To show a breach of duty, we have to demonstrate that a competent medical provider presented with a similar situation would have acted differently and provided a higher level of care. You Suffered Injuries Due to a Breach of Care. If we can show the doctor or provider breached their duty, our next step is to establish a causal link from the breach to your injuries. For example, suppose your doctor failed to diagnose a medical condition. By the time a second doctor finally detected it, the condition had significantly worsened. If the evidence and expert witness testimony indicate that a competent and diligent doctor would have diagnosed your condition in the first place, this could point to a breach of care. Now the question becomes whether you suffered an injury from the delayed diagnosis. If the delay in diagnosis clearly caused you injury, the doctor bears responsibility. Your Injury Resulted in Damages. The last step involves showing that your injuries resulted in damages. These damages do not necessarily have to be economic or quantifiable, such as medical bills or lost wages from work. We can also win compensation by proving you suffered non-economic damages, such as pain and suffering or emotional anguish. What Are Some Common Examples of Medical Malpractice? Failure to obtain informed consent before surgery or a medical procedure. How Can I Schedule a Free Medical Malpractice Attorney Consultation? If you need help with a medical malpractice case, contact the attorneys at Newsome Melton today. We want to help you in any way we can. Call 1-855-MED-ASKS for a free case review.